The USCAA #3 ranked Lady Crusader volleyball team added another accomplishment to its sterling season this weekend: a 1st place finish at the CCBC Essex Volleyball tournament, bringing home another trophy for Christendom athletics. Elsewhere, the Crusader rugby team picked up its second win of the season with a 24-5 win over Virginia Commonwealth University. The Lady Crusader soccer team shutout Trinity University 9-0, and the Crusader Cross-Country team placed 3rd at the Frostburg State Invitational. The Lady Crusaders entered the CCBC Essex tournament as the #1 seed, and quickly asserted why they deserved their #3 ranking. They swept through day one of the tournament, defeating Harford and Delaware Tech to make it to the semifinals on Sunday. They shutout Delaware again, 3-0, on Sunday, before moving onto the final round against Harcum. Despite a slow start where they fell behind 2-0, the Lady Crusaders fought back, eventually winning 3-2 and winning the tournament in the process. The Lady Crusader volleyball team is now on a nine-game winning streak, with the tournament as the latest accomplishment. Both Michaela Pennefather and Gemma McMahon were named to the All-Tournament team, with Pennefather finishing the tournament with 50 kills, a .389 hitting percentage, and 11 blocks, while McMahon finished with 102 assists and 16 service aces. 11-5 on the season, the Lady Crusaders will start their final month of the season against Washington Adventist on Tuesday. 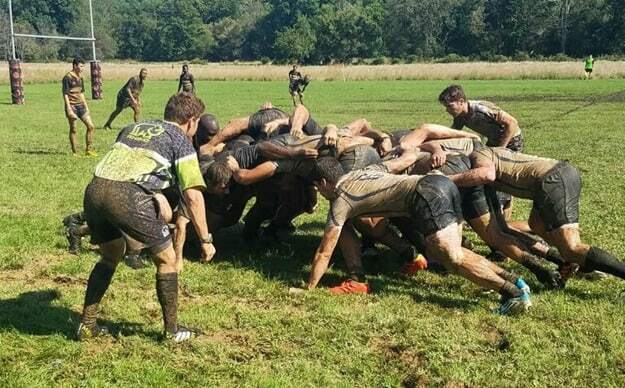 Unable to play on their home turf due to rainy conditions, the Crusader rugby team welcomed Virginia Commonwealth University to a neutral site for their fourth game of the season. The change in location did not matter for the Crusaders — they started strong and never let up, eventually winning 24-5. The win is the second of the season for the Crusaders, and moves them into 2nd place in their division, just behind the University of Virginia. The Crusaders will next play at home against Washington and Lee University on Saturday, October 6, of Homecoming Weekend. The Lady Crusader soccer team, fresh off of scoring a #11 ranking in the nation, traveled to Trinity University in Washington, D.C., looking to boost those standings. They did just that — handily, shutting out Trinity and scoring nine unanswered goals. They will host Patrick Henry on October 2, before playing Potomac State on October 6. The Crusader Cross-Country team continues to assert itself as a force to be reckoned with in its 3rd season of contention, showing off its speed and endurance at the Frostburg State Invitational. Both the men's and women's teams placed 3rd, marking another Top 5 finish for the teams.